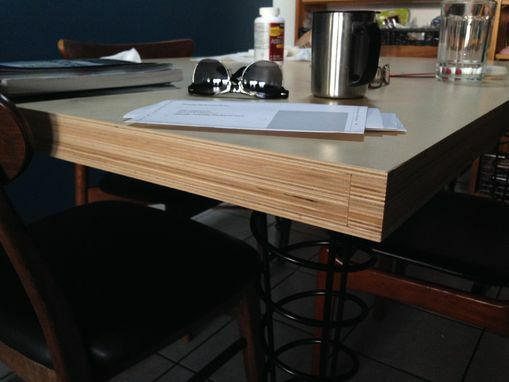 We've begun making prototypes of tables to add to our repertoire. 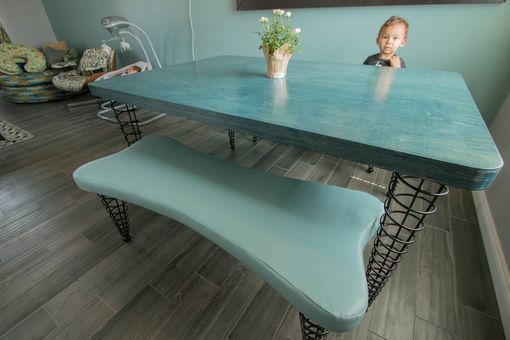 Like our benches, these have an extraordinarily high strength to weight/material ratio. The tables in these photographs for example use 1/4 as much tree to create yet have the comparable strength of a 2-inch solid wood slab. 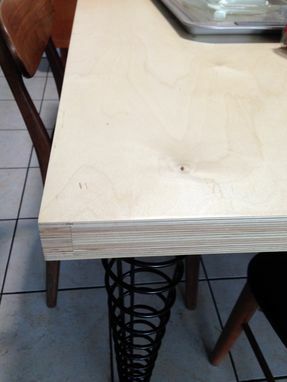 We can make these tables in sizes up to 4x8-feet in various stain and finish or even un-finished options. 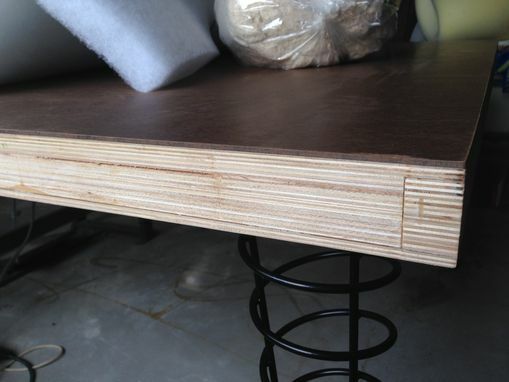 The top surface can be wood or laminate. 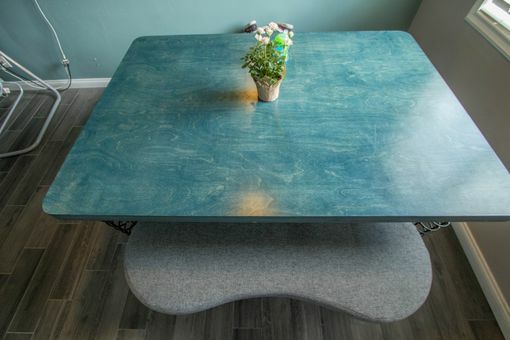 We even made one with a masonite top surface for use in our shop as a sewing table. Pictured with dining height legs, but can be fitted with any of our fifteen height legs as all have the same attachment pattern.